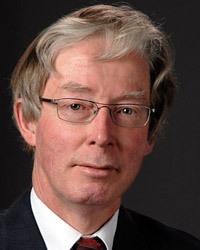 Arie van der Kooij (born 1945, Ph.D. 1978) was full professor of Old Testament Studies – Exegesis, Literature of Ancient Israel, and Religion of Ancient Israel – in the Faculty of Theology at Leiden University, 1989–2010. He is currently professor emeritus at this University. In the year of his retirement, 2010, he was offered a Festschrift, entitled: Isaiah in Context. Studies in Honour of Arie van der Kooij on the Occasion of his Sixty-Fifth Birthday. Ed. by Michaël N. van der Meer, Percy van Keulen, Wido van Peursen and Bas ter Haar Romeny (VTSup 138), Leiden, Brill, 2010. – The Preface to this volume contains a narrative version of his CV.